This sweet (literally!) 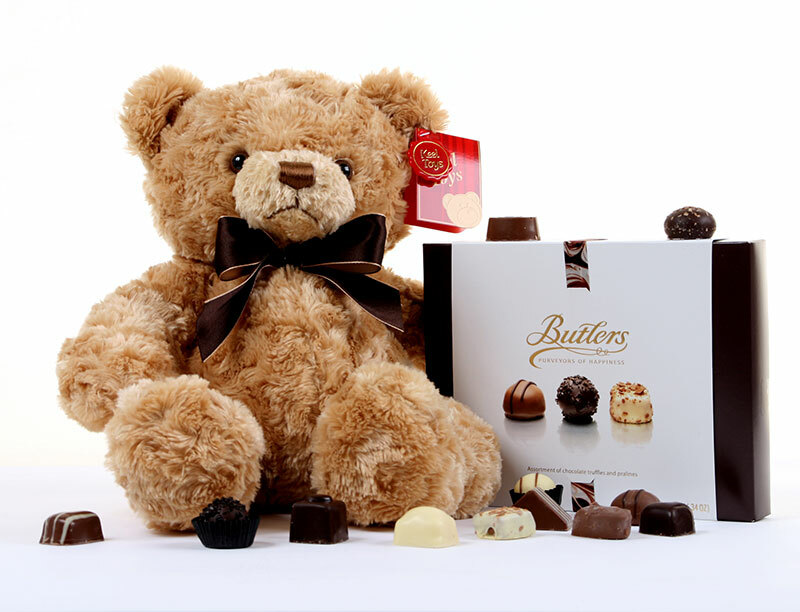 pairing together of Butlers Irish handmade chocolates and the Classic Bear will bring a smile to any face. 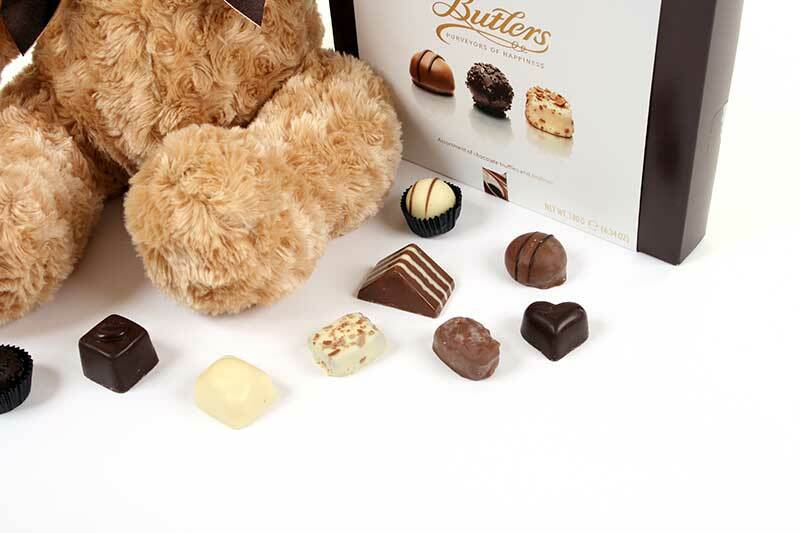 The chocolates are a collection of handmade pralines and truffles from Butlers, the company who have led the field in Irish chocolate excellence since 1932. 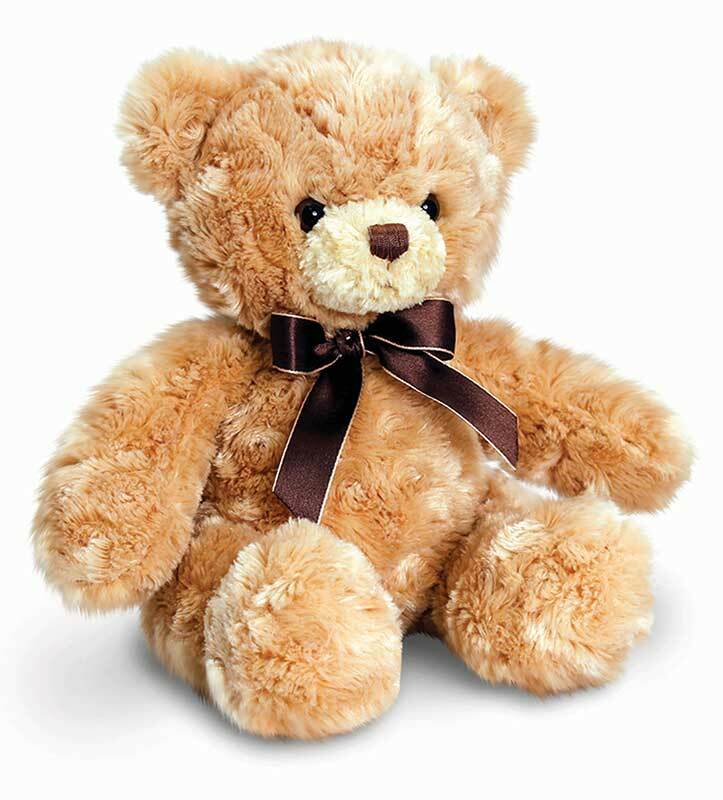 The bear is from Keel Toys; established in 1947 and is now one of the largest teddy designers. 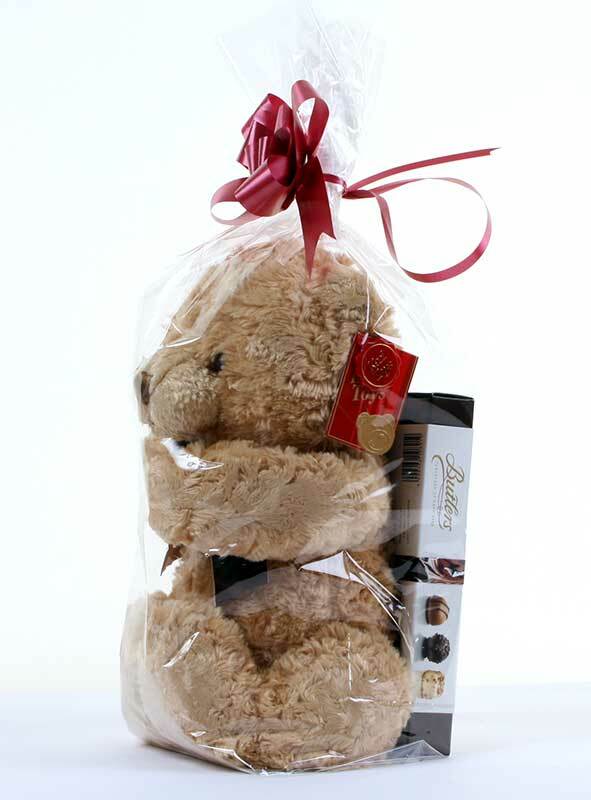 It has built a reputation for making quality teddy bears from beautiful designs from their in-house team. 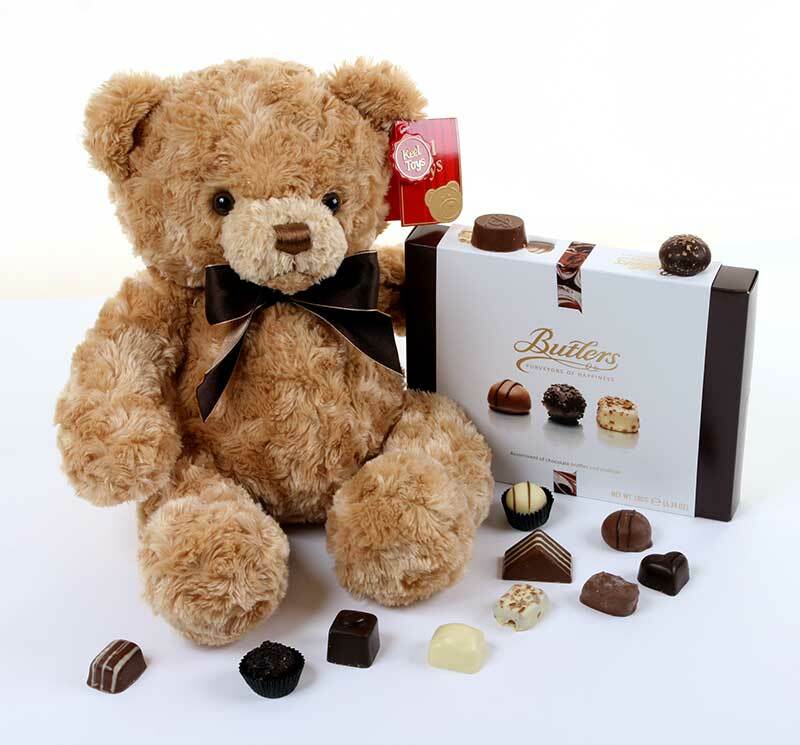 Together they bring the recipient both instant indulgence from the chocolates, and lasting love from the bear. An all round adorable surprise for anyone! Comes presented in a clear gift bag with ribbon and bow. The bear measures approx 25cm.